Gram, it’s me, Jennie. You just FaceTimed me. No, Gram. I can’t see you. 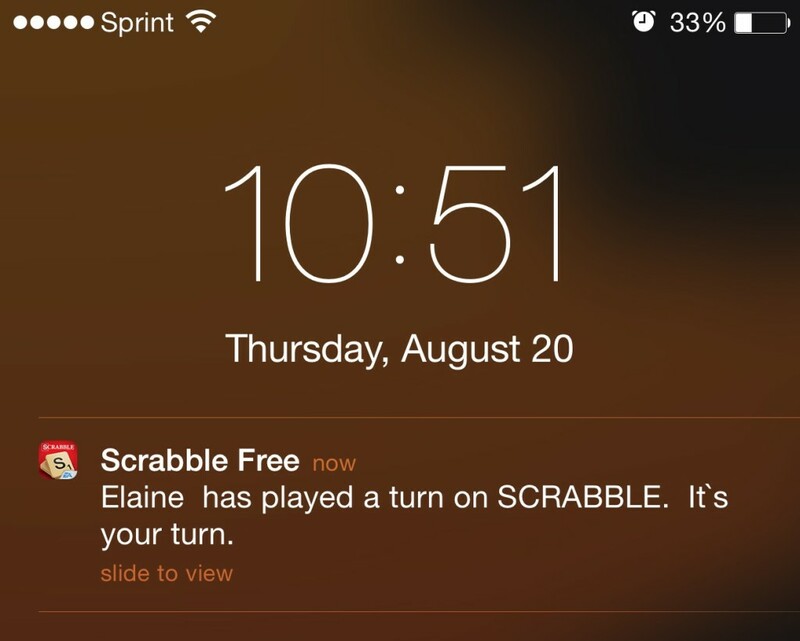 And you’re in Face Time, not Scrabble. Gram, I’m gonna hang up and dial back, see if the camera works. 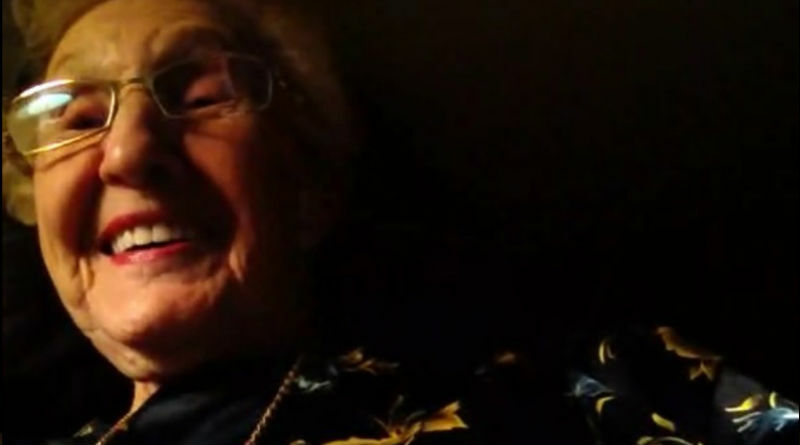 My 93-year-old grandma, who was born before televisions were invented and 35-years-old before the first satellites were put to use, appeared on my iPhone, beaming. And so we chatted, covering topics we’d just discussed an hour earlier on the (actual) phone all the while she fidgeted with her necklace (she tossed that on before she accepted my dial-back) and the neckline of her satin pajamas. Well, Gram, since YOU called ME… that would’ve been really awkward, dontcha think? What? No, Gram. Sometimes I take my turn(s)— we usually have 12 games open because she takes her turns later than I do at night and once she’s played her turns she opens new games until Scrabble tells her to stop— when I’m multi-tasking and sometimes I sit down exclusively to play Scrabble. We discussed some of the topics from earlier, she showed me her manicure and I showed her my in-need-of-a-fresh-coat-of-paint nails before she caught me yawning and called it a night. And then took her (12) turns in Scrabble. She’ll freak when she sees this photo, but I don’t care. It’s awesome to be able to connect with her like this. We email and play Scrabble daily, talk on a regular basis but FaceTime really closed the 3,000 mile gap. 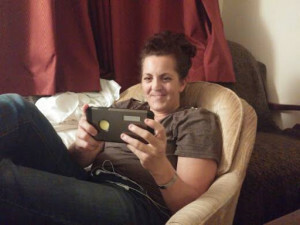 She laughed as we talked and I don’t know who enjoyed the “ScrabbleCall” more— her or me. Gonna cycle through my 12 turns and call it a night. 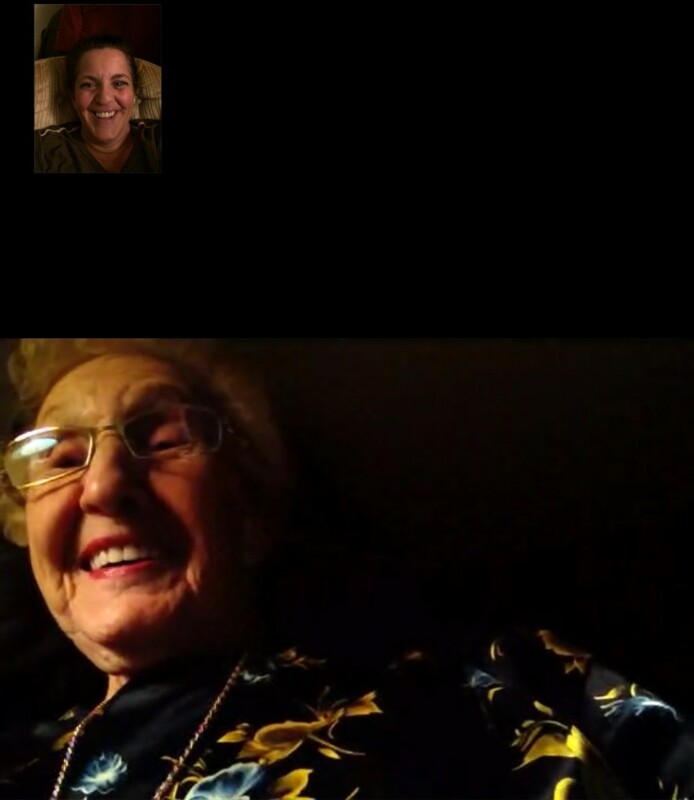 Gram FaceTimed and I can’t stop smiling. ?